Pyotr Konchalovsky's first stay in Paris lasted from 1896 to 1898. He entered the Académie Julian, where he practised an extremely classical form of art on the whole. Revelation came in 1907 when he saw the Van Gogh exhibition in Paris, and was inspired to join the Moscow-based avant-garde group "The Jack of Diamonds". 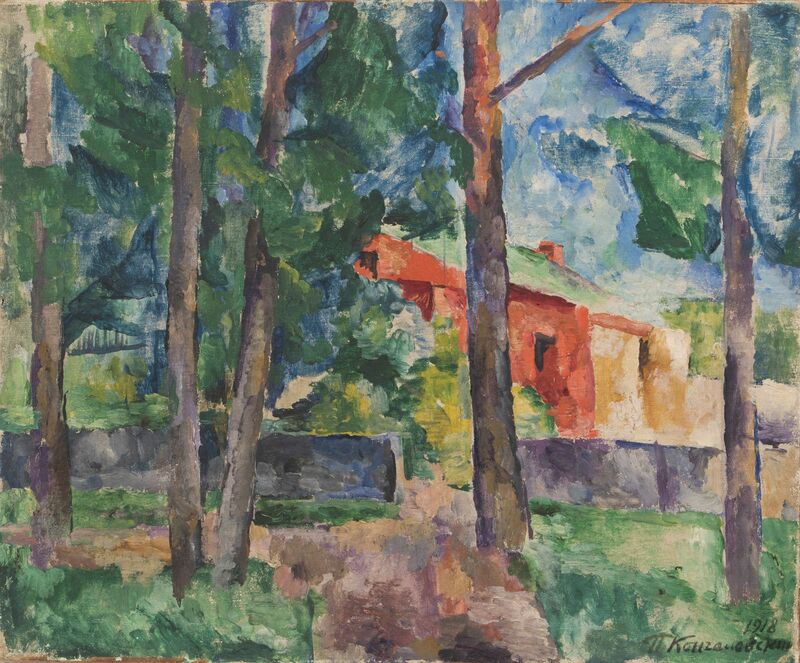 He also discovered the work of Cézanne and adopted his style, as witness the landscape presented here, which belongs to his "Cézanne" period between 1917 and 1920. "I am very impressed with Cézanne's method for understanding nature. I followed it for a long time, because it was Cézanne's approach in particular that helped me to see nature from a new angle," as he said later. His admiration led him to translate Émile Bernard's book on the Aix-en- Provence master into Russian. He applied this "conquest of colour and air" to the landscapes around Moscow. "The most important thing for me in a forest landscape", as he said, "is the silhouette of the tree against the sky; the silhouette of its branches." After the Revolution, his style became more traditional again, particularly in his numerous portraits of Soviet society.